Our proprietary reflective coating radiates heat back to your body and prevents heat loss, saving you energy for tomorrow's adventure. 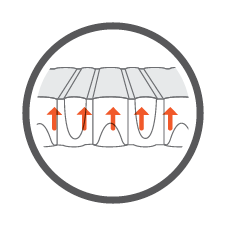 Here we use a simple reflective surface coating of ThermaCapture™ to amplify the effectiveness of the heat-trapping peaks and valleys of each of these mattresses. The result is a boost in warmth by up to 15% and even greater surface durability. 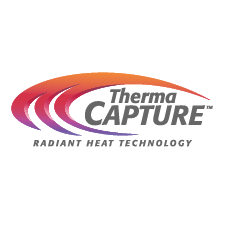 Patented technology utilizes two stacked layers of triangular baffles to create a stable surface while minimizing heat loss. 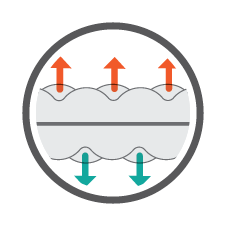 A single layer of horizontal wave baffles that slows convective heat loss without adding extra bulk. 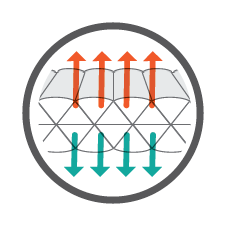 Yielding the best warmth-to-weight ratio of any self-inflating mattress, StrataCore uses a continuous layer of thermal foam nestled between alternating ridges of air and foam. 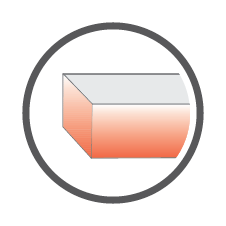 A cut structure that allows for a lower density foam, which means for a lighter weight and more compact mattress. Providing the same reduced weight as our vertically cut foam, our diagonal cuts also boost warmth by minimizing airflow. 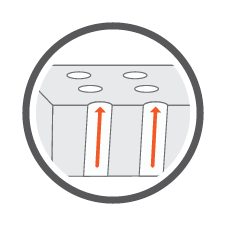 Open cell foam structure traps air to deliver a higher R-value foam that provides consitent support and durability. 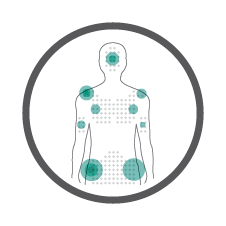 We use pressure-sensitive measurements to vary the support in our pads to provide intentionally placed support and comfort. Our unique patterns boost warmth with air-trapping peaks and valleys. 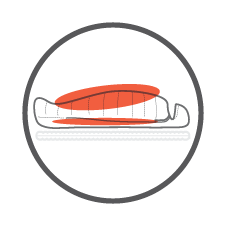 Dual-density foam provides a durable and soft sleeping surface. The nesting Z lite pattern maximizes compatibility. These removable straps integrate your mattress and sleeping bag to minimize heat loss and keep you secure through the night. 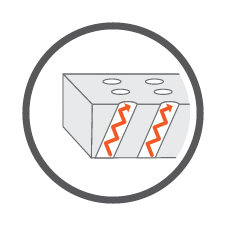 Intentionally placed insulation puts fill exactly where you need it, maximizing thermal properties while reducing weight. 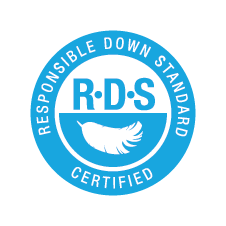 All of our down is certified to the Responsible Down Standard so that you can sleep easy knowing that the waterfowl have been treated humanely. 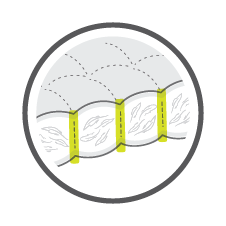 To maximize thermal efficiency in key areas, we use mesh box baffles to boost loft and eliminate cold spots at the seams of the sleeping bag or quilt. 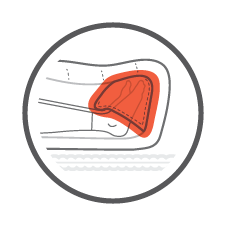 A baffled pocket of insulation helps rapidly warm cold feet inside our ergonomic footbox. 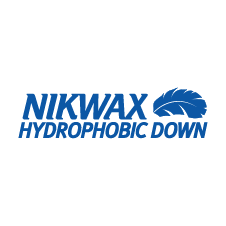 Boasting unrivaled temperature regulation, it dries three times faster, absorbs 90% less water and maintains loft 60 times longer than untreated down. 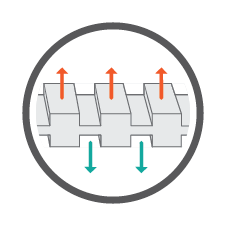 Hollow fibers boost heat capabilities while shedding weight. 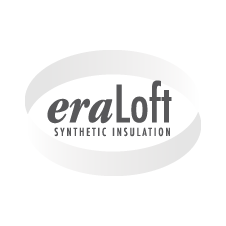 Compressible synthetic insulation repels water and possess excellent temperature regulation. 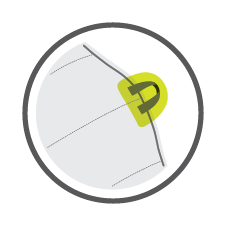 Most of our bags are equipped with quilt and blanket loops, allowing you to securely attach extra insulation to customize your sleep sytem. 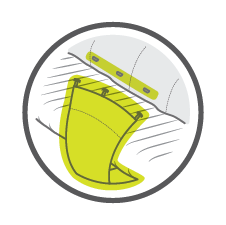 Our patented BowFrame™ cot design converts lightweight poles, stretch-free fabric and unique cot feet into a tension-spring system that holds the cot together and provides superior, off-the-ground sleeping comfort and support. 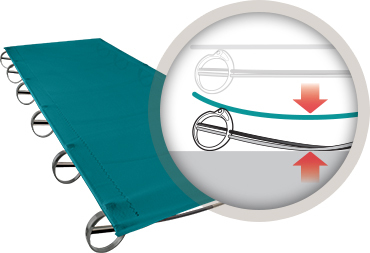 When used, the cot’s bow poles are designed to flex until the middle of the pole contacts the ground, offering the user greater stability while still maintaining flex for comfort.